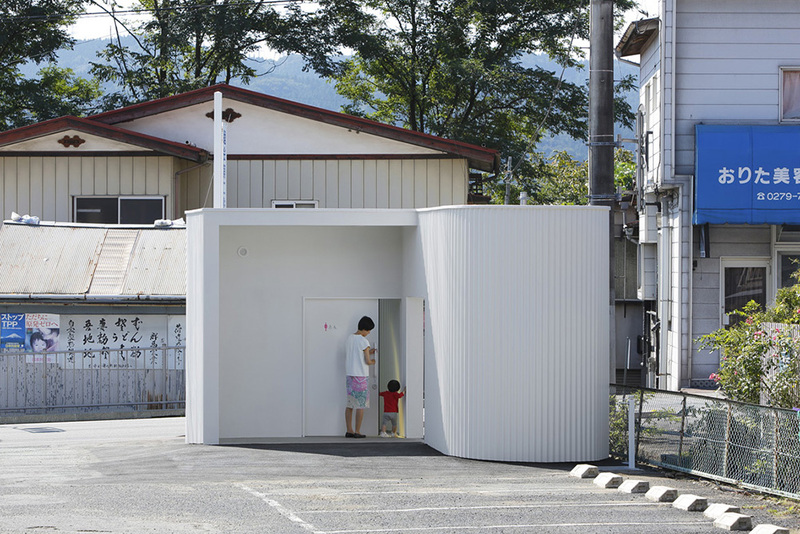 It is a renewal of a public toilet in Nakanojo town, Gunma. 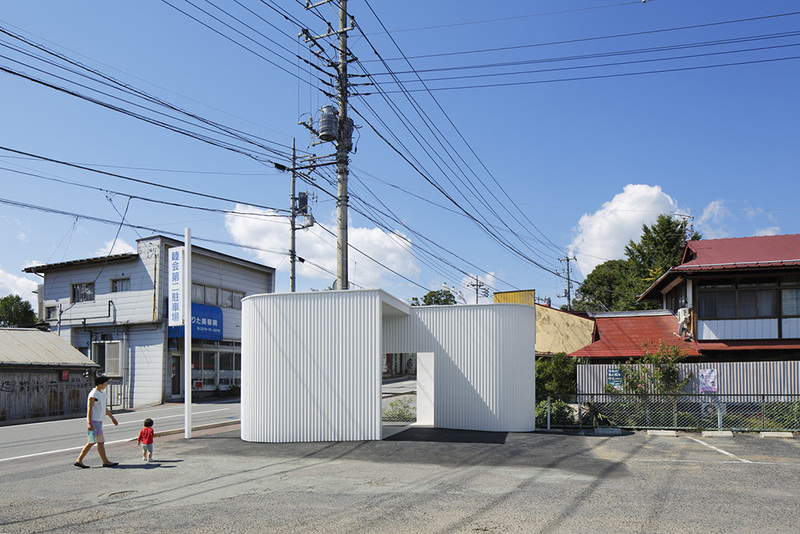 The site is on center of the town, on the corner of the parking of Ringshoji temple, a historical temple in Nakanojo. 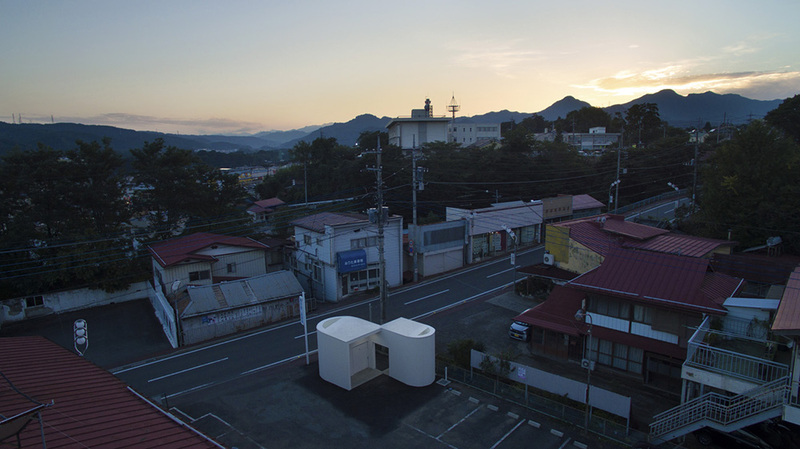 The toilet is asked to be a symbol of the town where has art festival ‘Nakanojo Biennale’, and at the same time, is asked to be a fresh and comfortable public toilet which is not ‘dismal’ like ordinal public toilets in Japan. 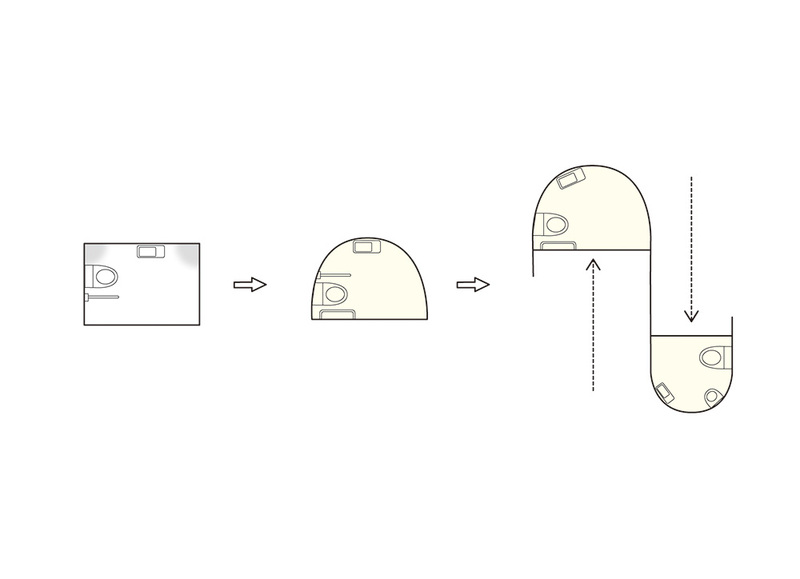 Considering the maintenance of a public toilet, instead of by using woods so as to add coziness, we remove the dismalness by designing the contrast of the space. We considered that the corner of the ordinal square toilet is a matter of the dismalness, by making a shadow and by parasitizing puddles, dust or spiders. 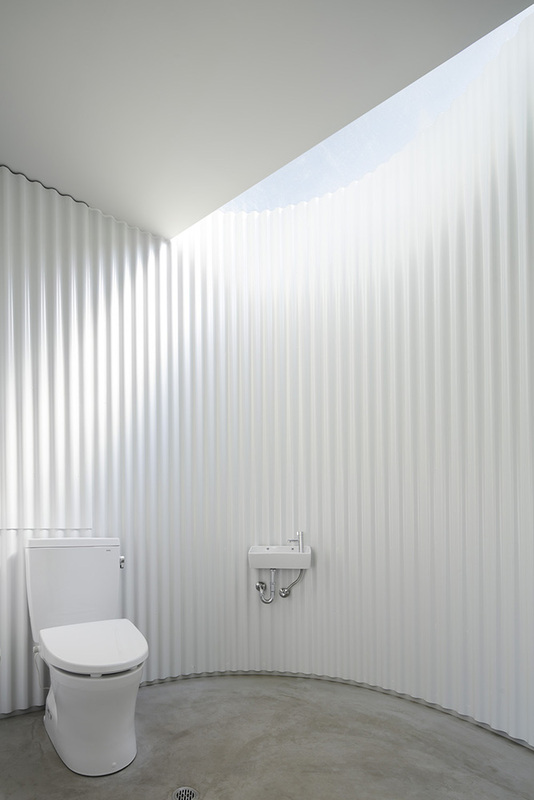 So we actualized a fresh and comfortable space of public toilet by getting rid of corners and lighting the interior wall by natural light from the top light. The S-shaped wall makes an adequate distance between man’s toilet and women’s toilet, and at the same time receives a flow of people from both side of the street and the parking. And also the curved wall induces people and cars from the street into the parking. 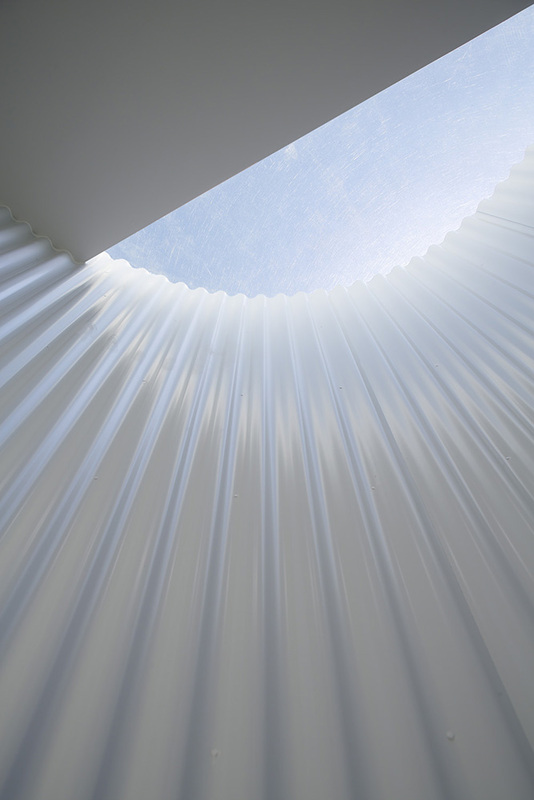 In spite of a 10m2 minimal building, it combines those elements like the flow of people and cars around the site, interior comfortableness, and the symbolism in the town.